The Cabinet-on-Stand was called in the Netherlands “Tafelkast” (Table Cabinet) because the base or stand resembles the shape of Dutch Renaissance tables. 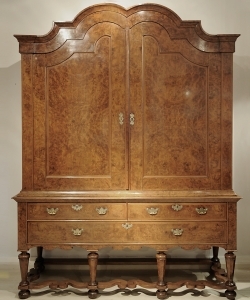 Cupboards of this type are mostly designed in larger proportions, this rare type of cabinet is much smaller and specifically designed for the chambers of new born children of wealthy or noble families. 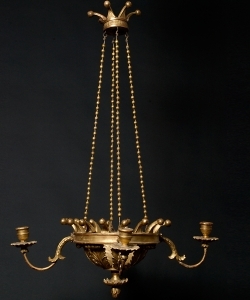 For that reason they are called "Kraamkamer kast" or in earlier times “Luyermands kabinetje”. 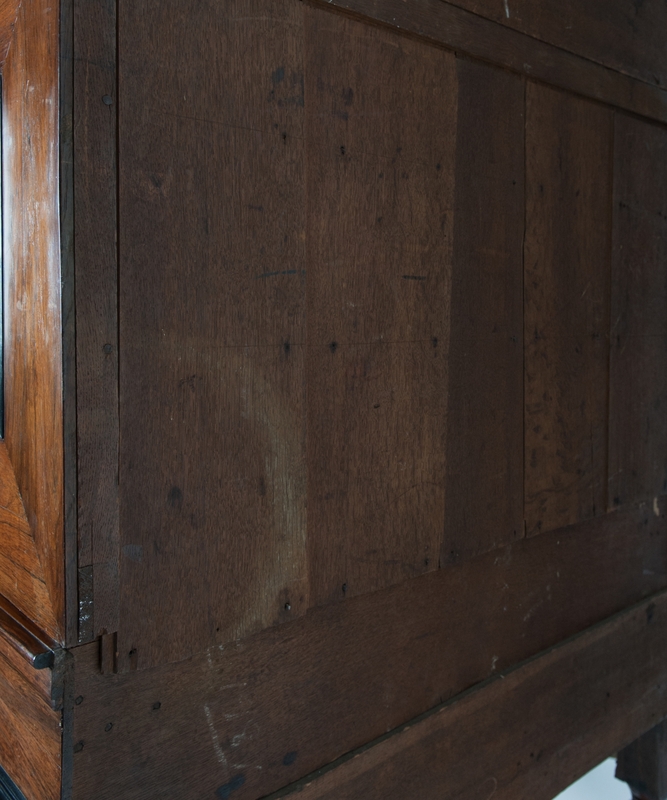 This (Baby Linen Cabinet) was intended for the storage of linen and other needed "accoutrements". 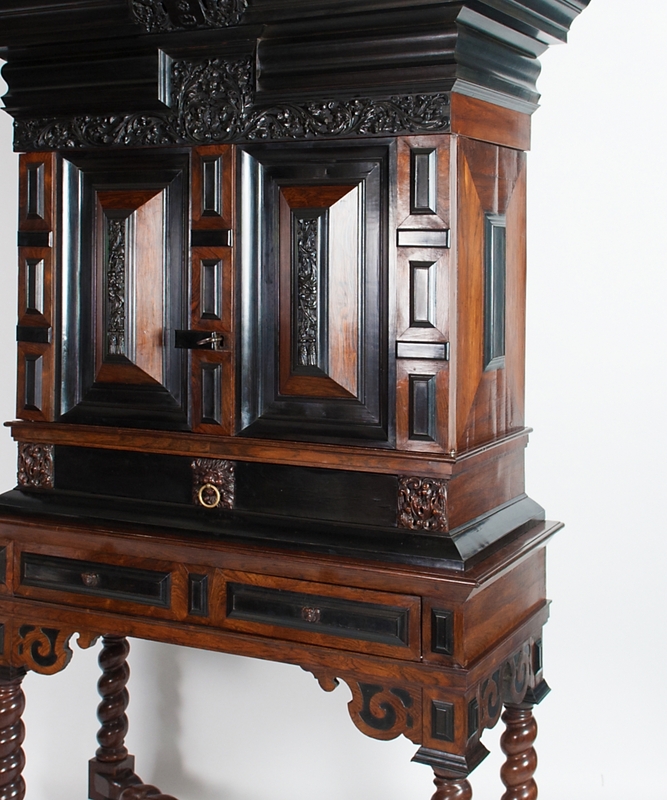 This elegant and rich Cabinet-on-Stand, typically for the second half of the XVIIth. 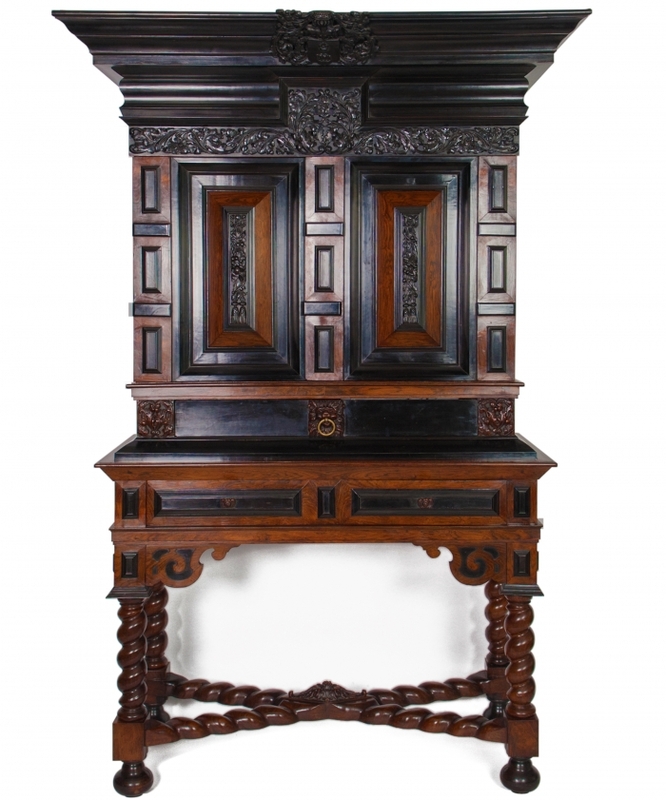 Century, was designed in oak and enriched with carved ebony and veneers of rosewood and ebony. The façade decor, extremely geometric in arrangement is executed in the strict architectural format typically for the Dutch furniture of the XVIIth. Century. Surmounted by a straight entablature, with characteristic frieze, architrave, and projecting cornice. 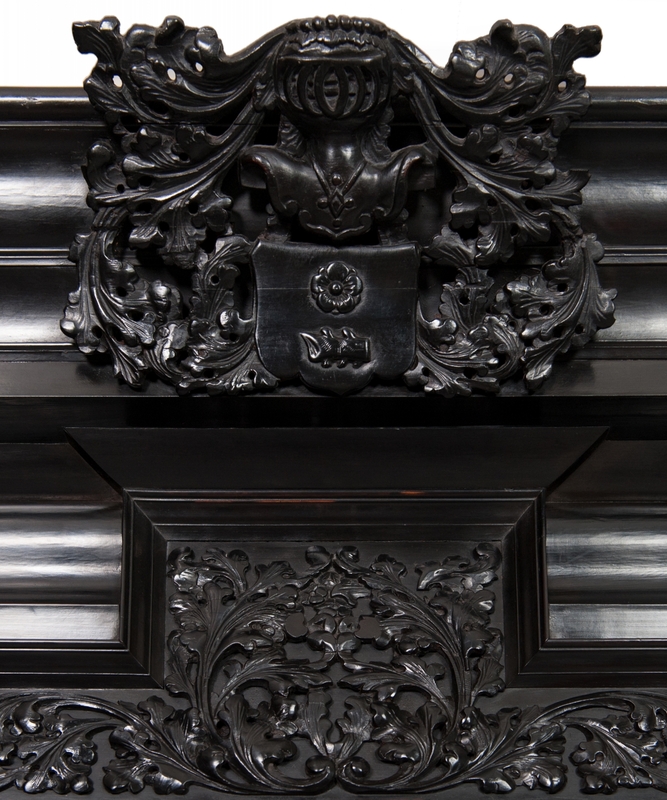 Uppermost central in the entablature is a richly carved ebony Coat of Arms (suggested for the Tjassen Family of Friesland) covered by a crowned baronet helmet, flanked by acanthus tendrils. 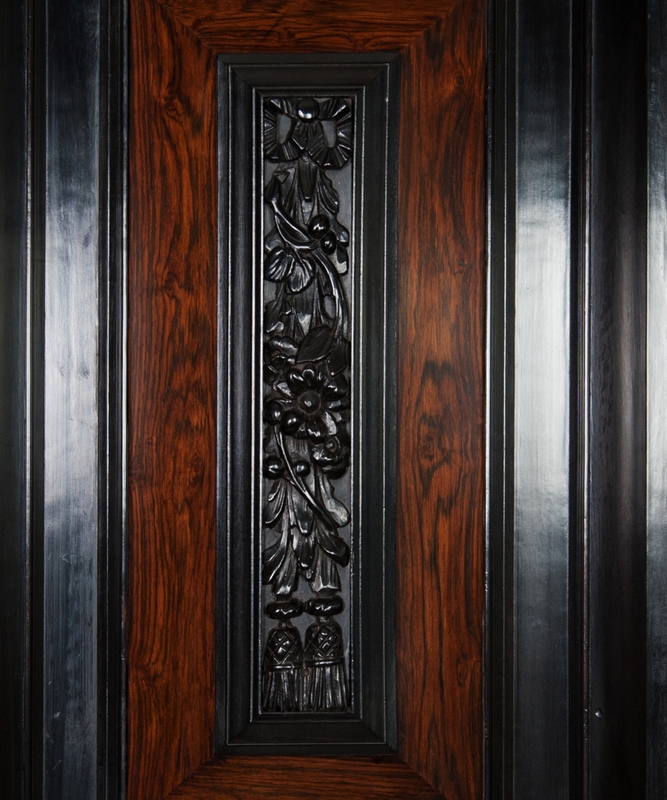 The ebony central part and frieze above the doors are also masterfully carved with meandering tendrils and stems, strongly reflecting the carving techniques and motifs employed by Colonial craftsmen used by the V.O.C. originating from Batavia, Coromandel Coast and Sri Lanka. 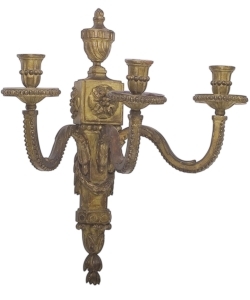 Below , two raised vertical friezes on either door in the same style including berries terminating with tassels. 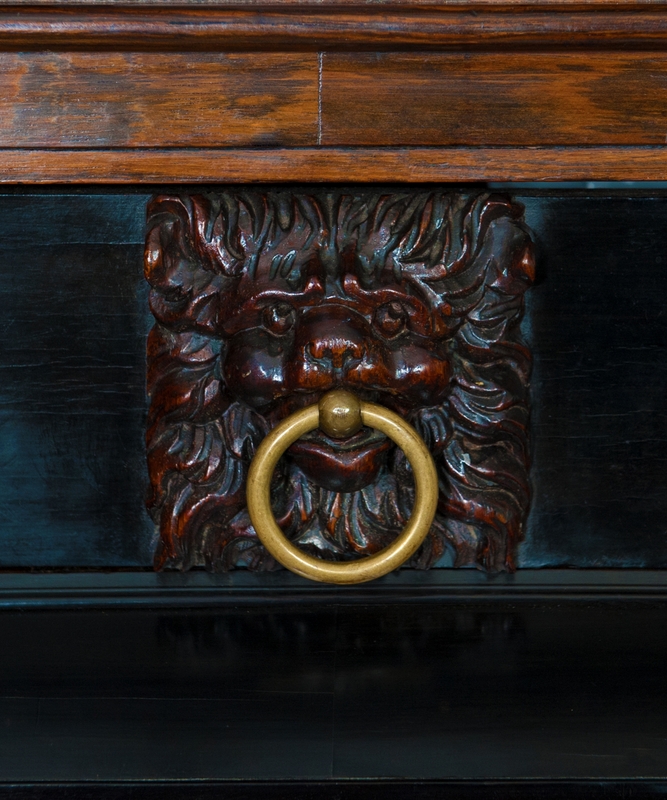 Under the doors an ebonized drawer with carved rosewood elements, central a ringed lion`s head drawer pull, and on both sides two auricular or mannerist style ornaments. 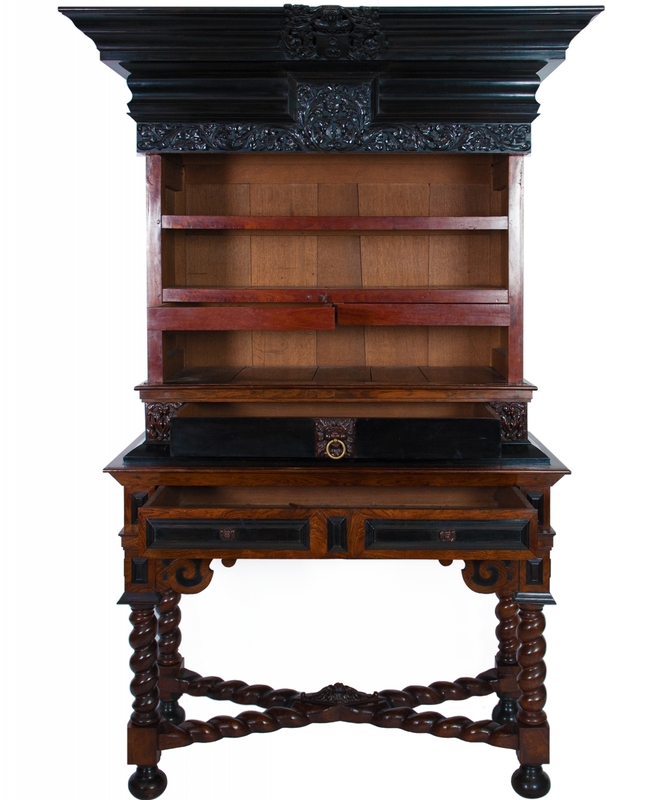 The table like stand also with two ebonized panels mounted by two carved tiny ornaments showing cherub heads with truncated wings or demons with bat-like characteristics. 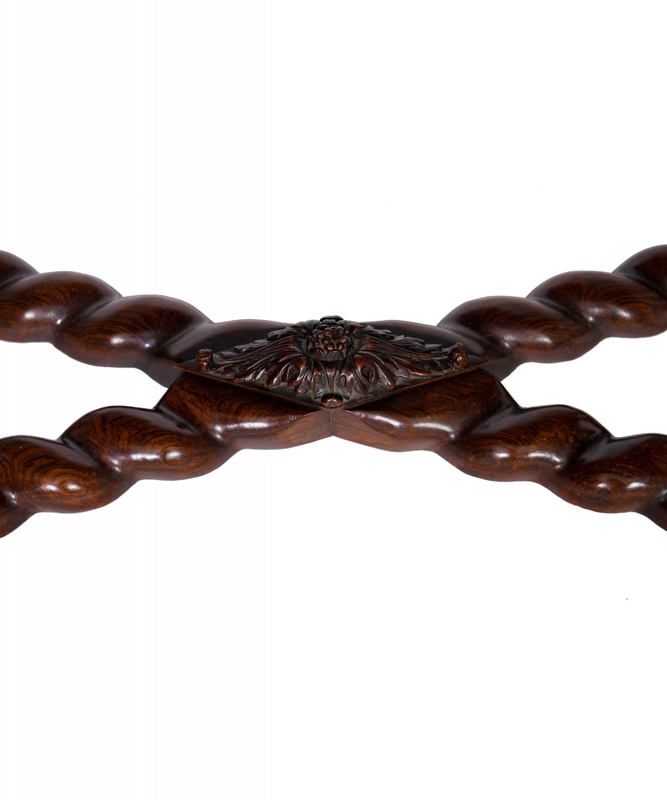 On four spirally-turned legs joined by twist-turned X. shaped stretchers centered by a carved rhombic rosette. 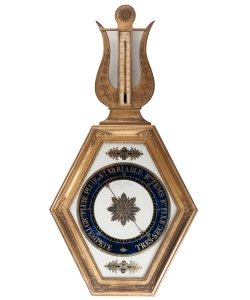 *Note: Possibly this nursery cabinet was ordered for Daniel Tjassens (Groningen). He was the only son of Cornelis Tjassens (Amsterdam 1628 - Groningen 1673) and his wealthy wife Anna (van) Nijenborgh (1627-1671).